ASCE Excellence in Civil Engineering Education (ExCEEd) Fellow, 2018. Henry Y. Kleinkauf Family Distinguished New Faculty Teaching Award, College of Engineering, University of Nebraska-Lincoln, 2018. The Seed for Success Award for Excellence in Research, Purdue University, 2015. Estus H. and Vashti L. Magoon Award for Excellence in Teaching, College of Engineering, Purdue University, 2014. Rotary Ambassadorial International Scholarship, The Rotary Foundation, Academic year: 2007-2008. July 2019 - Dec 2020, "High-Mast Tower Foundation," Nebraska Department of Transportation. (PI), $47,196. Sep 2018 - Aug 2021, "NSF BD Spokes: Medium: Midwest: SMart big data pipeline for Aging Rural bridge Transportation Infrastructure (SMARTI)," National Science Foundation, Award #1762034. (PI for subcontract to UNL), $999,988. July 2018 - Dec 2020, "Data Fusion and Visualization for Bridge Deck Evaluation Using Multi-Sensor NDE Techniques," University of Nebraska Collaboration Initiative/System Science Seed Grant. (Co-PI), $150,000. July 2018 - Dec 2020, "Multiscale-Multiphysics Modeling of Corrosion-Induced Damage in Structural Tendons," University of Nebraska Collaboration Initiative/System Science Seed Grant. (Co-PI), $145,653. July 2018 - Dec 2019, "Design Optimization and Monitoring of Joint-less Integral and Semi-Integral Abutment Bridges in Nebraska," Nebraska Department of Transportation. (PI), $142,312. Aug 2017 - July 2019, "Eliminating Rebar Splicing in Transverse Joints of Precast Full Depth Bridge Deck Panels," Precast/Prestressed Concrete Institute, Daniel P. Jenny Research Fellowship. (PI), $94,435 (w/ cost share included). July 2017 - Dec 2018, "Development and Implementation of a Moving Nondestructive Evaluation Platform for Bridge Deck Inspection," Nebraska Department of Transportation. (Co-PI), $159,583. Sep 2016 - Sep 2018, "Development of Specifications for High-Performance Fiber Concrete for Nevada," Nevada Department of Transportation. (Co-PI), $186,719. Sep 2016 - Aug 2017, "NSF BD Spokes: Planning: Midwest: Big Data Innovations for Bridge Health," National Science Foundation, Award#1636805. (Co-PI), $99,959. July 2016 - Dec 2017, "Standard Design for Nebraska County Bridges," Nebraska Department of Roads. (PI), $156,098. Sep 2014 - Sep 2017, "NSF CIF21 DIBBs: Building a Modular Cyber-Platform for Systematic Collection, Curation, and Preservation of Large Engineering and Science Data - A pilot demonstration project," National Science Foundation, Award#1443027. (PI for subcontract to UNL), $1,500,000. Catlin, A.C., HewaNadungodage, C., Pujol, S., Laughery, L., Sim, C., and Puranam, A. (2018), “A Cyber Platform for Sharing Scientific Research Data at DataCenterHub,” IEEE Computing in Science and Engineering, Vol. 20, No. 3, May-June, pp. 49-70. Villalobos, E., Sim, C., Smith-Pardo, J.P., Rojas, P., Pujol, S., and Kreger, M. (2018), "April 16, 2016 Ecuador Earthquake Damage Assessment Survey," Earthquake Spectra, In-Press, https://doi.org/10.1193/060217EQS106M. (corresponding author). Yeum, C.M., Dyke, S.J., Ramirez, J., Hacker, T., Pujol, S., and Sim, C. (2017), "Structure Annotation of Semantic Contents on Images from Earthquake Reconnaissance," 16th World Conference on Earthquake, Santiago, Chile, Jan. 9-13. Sim, C., Gandhi, R., Gee, D., Khampariya, A., Kale, A., and Moore, D. (2017),"Nebraska Bridge Data," dataset available at http://datacenterhub.org/resources/14392. Sim, C., Villalobos, E., Smith, J.P., Rojas, P., Pujol, S., Puranam, A.Y., Laughery, L. (2016), "Performance of Low-Rise Reinforced Concrete Buildings in the 2016 Ecuador Earthquake," dataset available at http://datacenterhub.org/resources/14160. Sim, C., Song, C., Skok, N., Irfanoglu, A., Pujol, S., and Sozen, M.A. (2015), “Database of Low-Rise Reinforced Concrete Buildings with Earthquake Damage,” dataset available at http://datacenterhub.org/resources/123. Frosch, R.J., Labi, S., and Sim, C. (2014), Increasing Bridge Deck Service Life: Volume I- Technical Evaluation, Joint Transportation Research Program Publication No. FHWA/IN/JTRP-2014/16, West Lafayette, IN: Purdue University, http://dx.doi.org/10.5703/1288284315516. Sim, C., Basu, S., and Manuel, L. (2012), "On Space-Time Resolution of Inflow Representations for Wind Turbine Loads Analysis," Energies, Vol.5, No.7, pp.2071-2092. Jung, K.H., Kim, K.S., Sim, C., Kim, J.J. (2011), "Verification of Incremental Launching Construction Safety for the Ilsun Bridge, the World's Longest and Wideest Prestressed Concrete Box Girder with Corrugated Steel Web Section," ASCE Journal of Bridge Engineering, May-June, pp.453-460. Sim, C., Manuel, L., and Basu, S. (2010), “A Comparison of Wind Turbine Load Statistics for Inflow Turbulence Fields based on Conventional Spectral Methods and Large Eddy Simulation,” Proceedings of 48th American Institute of Aeronautics and Astronautics Aerospace Sciences Meeting, Orlando, Florida, USA, January 4-7. AIAA2010-829. Sim, C., Basu, S., and Manuel, L. (2009), “The Influence of Stable Boundary Layer Flows on Wind Turbine Fatigue Loads,” Proceedings of 47th American Institute of Aeronautics and Astronautics Aerospace Sciences Meeting, Orlando, Florida, USA, January 5-8. AIAA2009-1405. Ahn, J.H., Sim, C., Jeong, Y.J., Kim, S.H. (2009), "Fatigue Behavior and Statistical Evaluation of the Stress Category for a Steel-Concrete Composite Bridge Deck," Journal of Constructional Steel Research, Vol.65, No.2, pp.373-385. Ahn, J.H., Sim, C., Jeong, Y.J., Kim, S.H. (2008), "Fatigue Strength Evaluation of Steel-Concrete Composite Bridge Deck with Corrugated Steel Plate," Journal of Korean Society of Civil Engineers, Vol.20, No.6, pp.731-740. Sim, C., and Won, K. (2018), "Using Deep Convolutional Neural Network to Develop Full-Depth Transverse Crack Mapping System,"ASCE Engineering Mechanics Institute Conference, Boston, MA, May 29-Jun.1. Sim, C. (2018), "Reconnaissance of Low-Rise Reinforced Concrete Buildings Damaged by the 2017 Pohang Earthquake,"Presentation at the ACI Committee 133 - Disaster Reconnaissance, Salt Lake City, UT, Mar. 24-28. 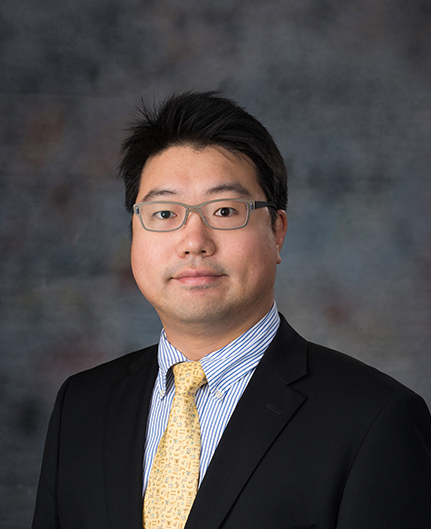 Sim, C. (2017), "Structural and Material Evaluation of Concrete Members Reinforced with Corrosion-Resistant Reinforcing steel," Invited talk at the Structural Engineers Association of Nebraska, Omaha, NE, Sep. 15. Sim, C. (2017), "Big Data Innovationas for Aging Bridge Infrastructure," UKC 2017 Conference, Korean-American Scientists and Engineers Association, Washington, D.C., USA, Aug 9-12. Sim, C. (2016), "Performance of Low-Rise Reinforced Concrete Buildings in the 2016 Ecuador Earthquake," Presentation at the ACI Committee 133 - Disaster Reconnaissance, Philadelphia, PA, Oct. 23-27. Sim, C., Won, K., and Youn, J. (2016), "Development of Image-Based Autonomous Transverse Crack Mapping System," UKC 2016 Conference, Korean-American Scientists and Engineers Association, Dallas, Texas, USA, Aug 6-9. Sim, C., and Frosch, R.J. (2015), "Various Rebar Types: Pros and Cons," Invited Presentation at Bridge Workers, Supervisors, and Engineers Conference, Mt. Sterling, Ohio, Apr. 15-16. Sim, C., and Frosch, R.J. (2014), “Structural and Material Performance of Concrete Bridge Decks Reinforced with Corrosion-Resistant Reinforcing Steel,” UKC 2014 Conference, Korean-American Scientists and Engineers Association, San Francisco, California, USA, Aug 6-9. Sim, C., and Frosch, R.J. (2013), "Evaluating Corrosion Protection Systems for Bridge Decks with Modified Macrocell Specimens," Invited Presentation in Laboratory Test Methods for Corrosion Assessment, ACI Committee 222, ACI Fall 2013 Convention, American Concrete Institute, Phoenix, Arizona, Oct. 20-24.